If you are facing traffic fines in Arkansas courts, you may be wondering how much your ticket is going to cost you. While it is possible to estimate your fine based on state regulations, it is important to remember that Arkansas traffic fines are largely dependent on judge's discretion and the municipality's laws where you are stopped. Because of this, the only way to find out how much your traffic fine in particular will be is to look at your ticket or call the phone number listed on your ticket. You may be able to find your particular municipality's traffic fine schedule online, but if you cannot, a phone call to traffic court will usually put you in touch with someone who can tell you about the fee schedule or fax you a copy. Not all traffic offenses are equal. While some traffic offenses penalize you only with Arkansas traffic fines and points on your license, others could actually land you in jail. Offenses that can result in jail are called misdemeanors, and those that cannot result in jail are called civil infractions. 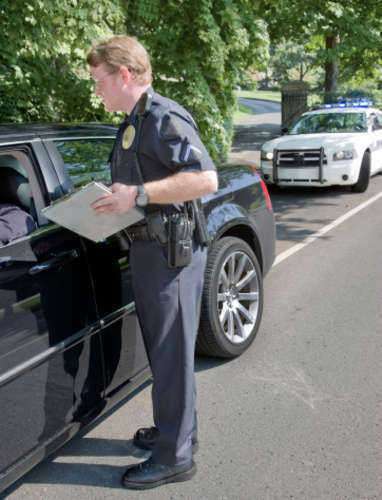 Typically, your traffic citation will list whether you are being charged with a civil infraction or a misdemeanor. If you are charged with a misdemeanor, you will not only be responsible for paying all applicable Arkansas traffic fines, you will also face jail time of up to a year depending on the offense. Traffic offenses that can lead to a misdemeanor charge in Arkansas include driving with a revoked license, driving under the influence of alcohol or drugs, or even speeding. Speeding tickets are the most common source of Arkansas traffic fines. More than almost any other traffic violation, speeding results in penalties that can vary quite widely depending on the jurisdiction you were stopped in and the particular circumstances that resulted in your traffic stop. If you were driving recklessly, you may be charged with further offenses and receive jail time in addition to Arkansas traffic fines. You may also face jail time if you are a habitual speeder or if you caused an accident. First-time speeders are likely to receive substantially lower penalties and may even be able to have their Arkansas traffic fines eliminated by going to traffic school. On average, you can expect to pay between $100 and $200 for a traffic fine in Arkansas unless there are aggravating factors. Arkansas traffic fines for speeding (and all other moving violations) double if you commit the offense in a work zone. A relatively new traffic offense in Arkansas is texting while driving. You can be given Arkansas traffic fines of up to $100 if you are texting. Teenagers can even be given fines for using hands-free devices. This law, “Paul's Law,” was designed to keep Arkansas motorists safer and dates to 2009. Texting while driving is a civil infraction, so while you will be subject to Arkansas traffic fines, you will not face any jail time for it.